You are here: Home > How many babies died at the hands of Colorado homebirth midwives this year? 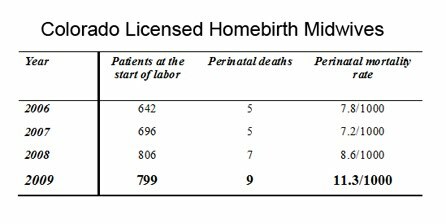 How many babies died at the hands of Colorado homebirth midwives this year? It’s that time of year again, late October, when Colorado homebirth midwives release their death statistics as mandated by Colorado law. Before I disclose this year’s death rate, let’s review to put it in perspective. But the death rates for for the year were even even worse. Last year’s results revealed that, licensed Colorado midwives had a perinatal mortality rate at homebirth of 8.6/1000. These numbers are nothing short of horrifying. Amazingly, last year’s statistics were far worse. Colorado licensed midwives provided care for 799 women. Nine (9) babies died for a homebirth death rate of 11.3/1000! That is nearly DOUBLE the perinatal death rate of 6.3/1000 for the entire state (including all pregnancy complications and premature births). What did we learn from these data? They already had an intrapartum death rate 10 times higher than expected and a neonatal mortality rate 10 times higher than expected. How much higher are they now? If this tactic sounds familiar, it should. It has happened on the state level; homebirth midwives in Oregon, led by Melissa Cheyney are hiding their death rates. And it is happenening on the national level. 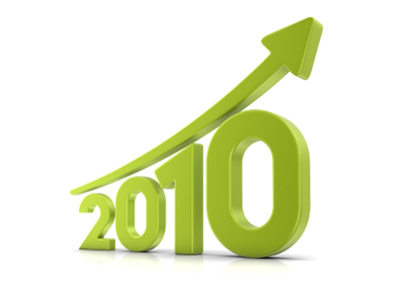 The Midwives Alliance of North America (MANA) collected death rates for the years 2001-2008. While they were collecting the statistics, they publicly promised they would be used to demonstrate the safety of homebirth midwives, but once they saw the results, they decided to hide them instead. How many babies need to die before homebirth advocates acknowledge the obvious: homebirth kills babies, homebirth midwivess (certified professional midwives) are grossly undereducated and grossly undertrained, and homebirth midwives are represented by unethical leadership who are willing to let babies die preventable deaths and then hide the bodies? Homebirth in the US is not about babies, and it is not about birth. It is about a bunch of high school graduates who couldn’t or wouldn’t get real midwifery training and made up a pretend credential they award to themselves to fool an unsuspecting public. American professional homebirth advocates are unethical in the worst possible way; they don’t care how many newborn lives are sacrificed, indeed that will go to great lengths to hide how many newborn lives they sacrifice, in an effort to continue collecting fees for appallingly incompetent care. The entire leadership of American homebirth, from the President of MANA on down should be ashamed of themselves. How do American homebirth midwives handle their mistakes? They bury them — both literally and figuratively. Babies die, it’s a part of life. Grow up. Yeah, who cares if babies die preventable and painful deaths by suffocation. They aren’t important. They’re disposable and interchangeable. They’re just there to give momma an experience. With proper care, much fewer die. Although, it’s almost delightfully refreshing when an NCB person outright admits that the survival of the baby isn’t a priority. Empathy and a sense of justice are considered signs of maturity. If being grown up involves supporting death-dealing homebirth hobbyists, then I’ll give it a miss, thanks all the same. wow. So next time you or anyone you care about get sick with a treatable disease, I guess we should just let you or them die. Because people die, it’s a part of life. Grow up. Is there a number of dead babies that you feel is acceptable. To me, it seems that an ideal number would be zero. It’s probably not an achievable number, but it seems like something to work towards. Perhaps if doctors like yourself treated women with autonomy and less like incubators without thoughts or legal rights they wouldn’t flock to doulas? No one has treated me more like a babymaking/breastfeeding machine than NCB assholes. Hardly ‘flock’. Doulas are a luxury, like a facial but more expensive and less beneficial. And what kind of monster are you, ignoring feeeeeeeeeelingssssss, which are the doula’s stock in trade?